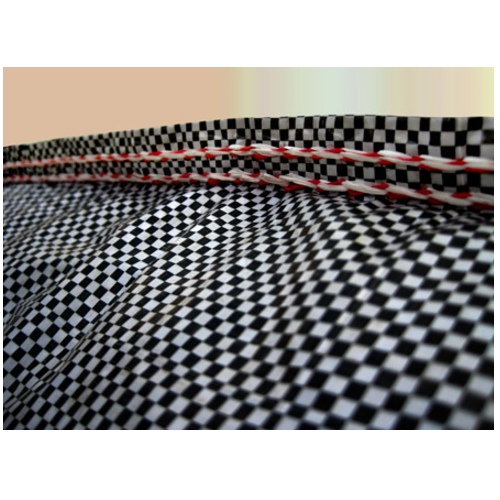 We are leading manufacturer of Woven Checks Designed Bags and is available at leading market prices. We can meet the exact checks design in fabrics. The checks design can be made in any color fabrics. There will be no much color variations in fabrics. Also the customized design can be made as per your requirements. Established in the year 1993, Knack Packaging, are one of the eminent manufacturers, suppliers, and exporters of Multicolor Printed BOPP Laminated PP Woven Sacks / Bags, PP Woven Fabrics and Bags, BOPP Pinch Bottom Bags, Flat Bottom Bags with gusset and Shopping/Promotional Bags in woven and non-woven. Our products are appreciated by our clients around the globe and are used in end applications like Grain & Pulses Bags, Foods & Spices Bags, Animal Food Bags, Fertilizers & Chemical Bags, Cement & Wall Finish Bags, Powder & Granule Bags, Mineral Bags, Detergent Bags, Charcoal Bags, Nuts & Fruits Bags, Specialty Bag For Tea & Coffee, Outer Promotional Shopping Bags. We started our business of manufacturing, supplying, and exporting of Bags and Packaging Material with a vision to attain utmost client satisfaction. We are efficiently supported by our team of experts, which has years of experience and proficient technique to handle different processes of manufacturing and designing, thus ensuring the delivery of high quality products. Under the able and efficient guidance of our mentor Mr. Alpesh, & our production head Mr. Rashmin who have years of experience in this field, we have become a reputed organization engaged in manufacturing, supplying, and exporting of Woven Bags and Packaging Material. Their strategies and business ethics enable us to meet the needs and requirements of our clients in a better way and also helps in providing customized solutions as per the details given by the clients.